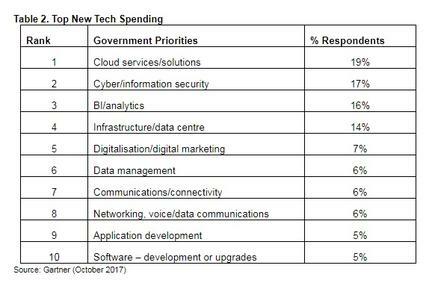 Worldwide spending on cloud, cyber security and analytics are set to grow with government CIOs planning to make new and additional investments in these areas in 2018, according to a new survey. On the other hand, data centre infrastructure has become a common target for spending cuts, even though it appears as a crucial area to achieve an organisation’s mission. This is according to Gartner’s 2018 CIO Agenda Survey, which presented more than 50 questions to 3,160 CIOs from 98 countries, including 461 government CIOs. 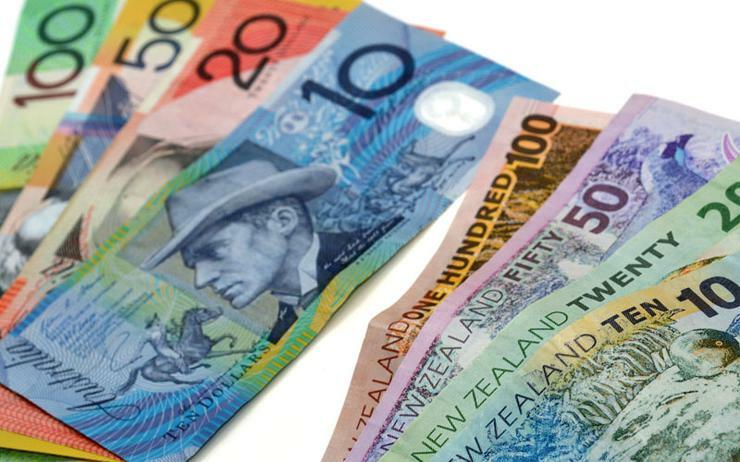 A total of 17 per cent of government CIOs expect to increase spending in cyber and information security, even though only five per cent considered security and risk crucial to achieving the organisation’s mission. 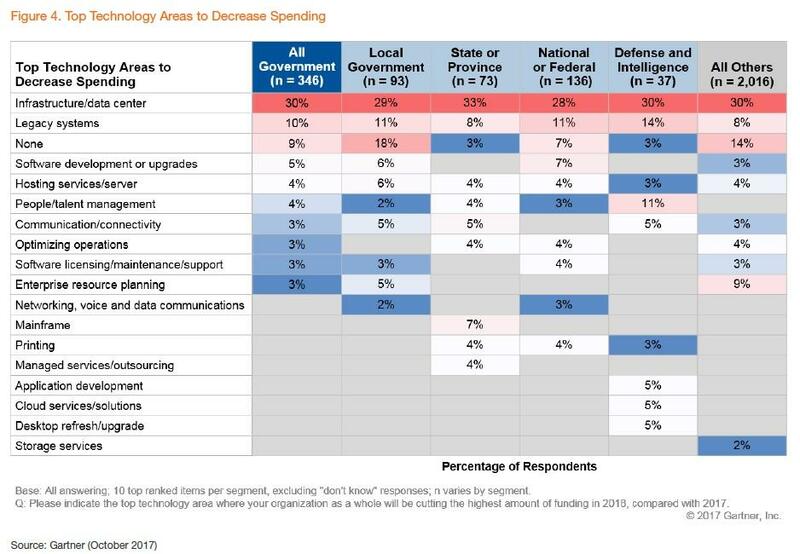 According to Gartner, this indicates that security is not a competitive differentiator for government, but additional spending over historical levels in this area is warranted as a response to relentless attempts to exploit system vulnerabilities. "The lessons of reputational damage and individual harm that can result from a data breach or compromised security have not been lost on business leaders," Gartner research vice president, Rick Howard, said. "Consequently, they're willing to allocate more resources and attention to lower risk exposure from cyber attacks." 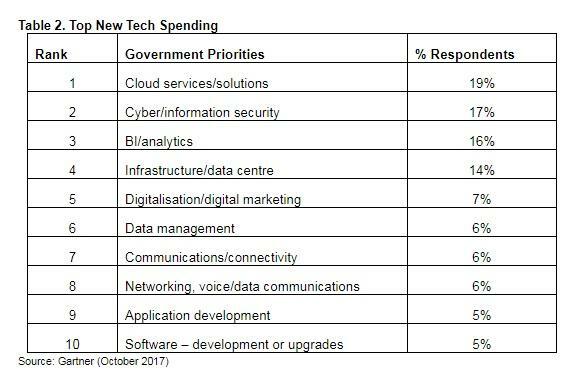 Apart from defence and intelligence agencies, digital transformation is a top priority for government agencies according to 18 per cent of the respondents, while private companies ranked it second after growth and market share. Other priorities listed by government CIOs were security, safety and risk with13 per cent; governance, compliance and regulations with 12 per cent; and technology initiatives/improvements with 11 per cent. "Government CIOs have conflicting priorities — to bring transformative change to their organisations, while pursuing compliance-oriented priorities," Howard said. "They will need to work constructively with other business leaders to agree how to balance risk and innovation to support digital transformation." Gartner’s survey found four technologies that differ significantly from public to private sector when it comes to the technology investment considered the most crucial to achieve the organisation’s mission. That is the case of artificial intelligence (AI) that ranked among the top 10 technology areas for the overall sample, but is not present for government ranking no.19. Application programming interfaces (APIs) were considered important by a greater percentage of federal or national CIOs, with four per cent, than other tiers of government or the private sector, which did not position APIs among the top 10 technologies. Cloud services/solutions and infrastructure/data centre combined ranked in the top 10 by 30 per cent of government CIOs, compared with only 12 per cent in all other industries. According to Gartner, the internet of things (IoT) was a top 10 item for all industries except government who ranked it as no. 12 in its priority list. The two exceptions are local government due to smart city projects, as well as defence and intelligence, which relies on data flowing from sensors that monitor a wide range of activity.